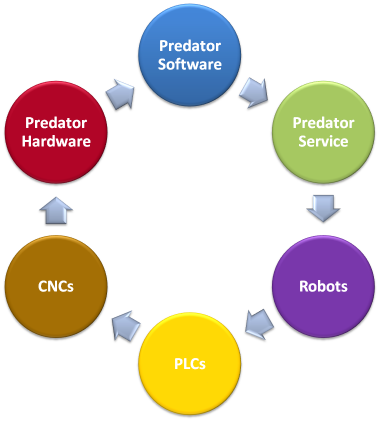 Automating your shop floor with one or more Predator applications as the glue between your CNC machines, robots, PLCs, CMMs, test stands and assembly lines provides a competitive advantage to your operation. Over the years projects have been completed by Predator experts in Asia, Europe and the Americas. The following examples are typical. How to design an automation cell? Start with defining the automation and understand the manufacturing requirements.